The importance we place on giving you superior support cannot be overstated. We recognize that our strength is comprised not only of our products, but our service as well. 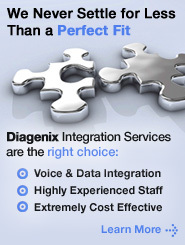 Dedicated, ongoing support helps you maximize your investment in our solutions. We continuously apply best practices to our operational techniques, technological advancements and system evaluations in order to make your operation more productive and more efficient. When you're looking for answers, our support team is dedicated to serving every customer, every time, at every interaction. Our support team is here to provide you with fast answers around the clock via phone, web site or e-mail. Our support engineers are experts in our solutions and have a wide range of knowledge including networking, PBX switches, middleware, telephony, servers, OS and much more so you can count on receiving quick, knowledgeable support that is tailored to your individual requirements. Should you face a mission-critical challenge, we can remotely access your system, assist online and perform diagnostics. Need on-site support? We'll supply it promptly. We understand that interruptions in your business are costly and problem resolution cannot be put on hold—Diagenix will never you leave you hanging. Support through our maintenance programs ensures that you will stay up-to-speed with product developments and that your resources are optimized for maximum performance. Can I change my support plan during the term? Do you offer extended warranties on your equipment?